Unless Supergirl.tv is the source of a news article, all news stories will be accredited with sources and links to sources. Supergirl.tv will utilize the home page for news content, prize give-sways and site related announcements only, Opinion based articles will be limited to the forum. Rarely Op-Ed pieces will be included but we try to hold to a 95% news ratio. Supergirl.tv will only report on spoilers for the show in the news section when other "main stream" media sources also have reported on the story, or Supergirl.tv can break the story. Otherwise, show spoilers are confined to our spoilers page. The comments section for each news article will be strictly moderated. Membership is required to use the comment feature. Comments expressed by members of the site are not reflected or necessarily shared by the staff at Supergirl.tv and solely belong to that of the user who made the comment. 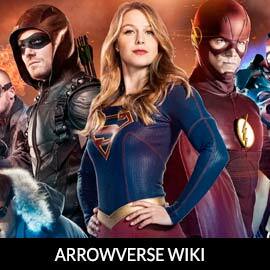 Supergirl.tv will endeavor to be a be a site that is accessible for all age groups. However, users under the age of 18 (or like ages in other countries) should consult their parent or guardian before using the site. Reporting on the news of the show will mean that Supergirl.tv will cover topics discussed on the show. Some episodes are rated TVPG13 or equivalent. Users should be comfortable with those topics when using the site. If you believe there is an error on our site for any reason, we have created a contact page which you can get directly in contact with a member of our staff. We will review the issue and get back to you ASAP. We consider all issues fairly and with the upmost care.